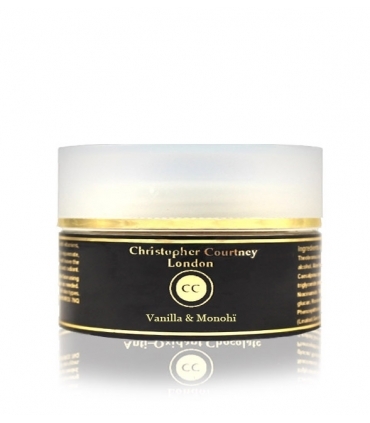 Talking about Christopher Courtney is a privilege, and being able to have your products, even more. We are delighted to be able to offer these small natural jewels. Talk about Marian, and Christopher, and Grandma, Sisters ... Every brand has a story behind it, a feeling, a delusion, and a know-how, beautiful, beautiful, as they have. 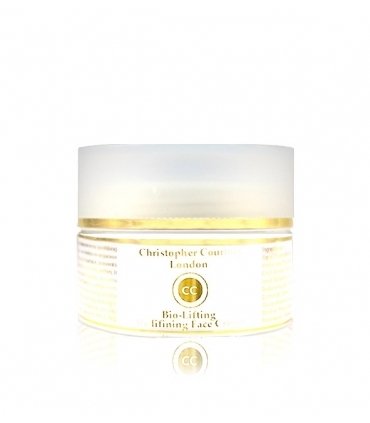 Talking about Christopher Courtney is talking about delicacy, luxury and exquisite taste, products made with charm, sophistication and, most important, with natural and ecological ingredients, the best and best selected. His dedication to creating small, decadent works of art will captivate you, as he captivated us as soon as he discovered it. The affection that they put in all their elaborations is felt. It is vibrant. 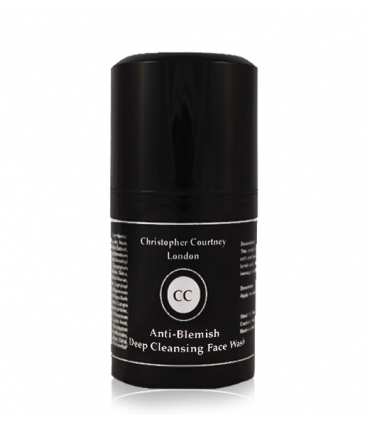 Talking about Christopher Courtney is showing a safe value, a gift for your skin, a caress of treatment, a sensorial gift for those who suffer from addiction to cutting-edge ecological cosmetics, current, guaranteed results. There is no room for doubt. Find out what you like best about Christopher Courtney. We are proud and fascinated of everything that offers us. What are you waiting for to discover your precious universe? Christopher Courtney is authentic, ethical and luxurious. Welcome to the new high-performance natural cosmetics! 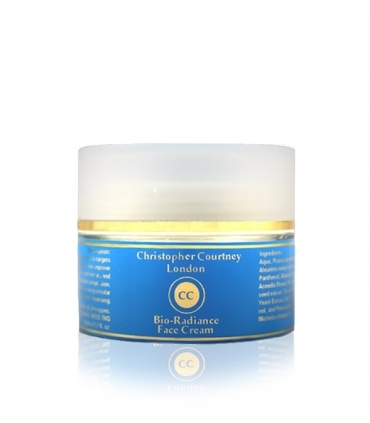 At Christopher Courtney they develop effective and high performance skin care products, natural, organic, aromatherapeutic and environmentally friendly. In BOSPLENDOR we offer you the ones of domestic use so that you can boast of healthy and resplendent skin. Taking the purest gifts of mother nature, they have combined expertise together with science to achieve innovative, healthy products with generous and generous results. Christopher Courtney is proud to use genuine natural and organic exotic butters, vitamins, omega-rich oils 3,6,7 & 9, potent botanical extracts, restorative aromatherapy, clinically proven marine extracts and antioxidants that come ethically from around the world certified by the Soil Association, Ecocert and equivalent bodies to guarantee the quality of the products. And the products are not tested on animals. Christopher Courtney has created a splendid, high-end brand, using only natural and organic ingredients in order to create a luxurious ritual while taking care of your skin. Like his mother, Christopher Courtney was born with very wrinkled and damaged skin, unfortunately his skin did not improve, eventually developing a severe eczema that dominated their lives. As many people do, they tried everything possible in conventional medicine without finding any formula. Marian, with her experience in natural therapies and aesthetic beauty, and serious training in antiaging botanical treatments, got enough knowledge and finally set out to find a solution to help her child. With his new hobby, he found himself making products for family and friends that kept coming back for more products, knew they had something special and needed to continue training and discovering things professionally to continue creating treatments. Finally, with the help and inspiration of his children, Christopher Courtney London was born. Together they were carrying out an exciting project, creating a brand that has brought a solution to a serious problem, which unfortunately, many people today suffer on their skin. Emphasizing the success and benefits of using only natural and organic ingredients. Christopher was born in Africa and, as a child, followed his beloved grandmother in her cocoa harvest days. He remembers fondly how his cousin and he used to lick the sweet membrane of freshly opened cacao pod beans. It is today truly proud to say that one of its most beloved products uses cocoa butter, cocoa powder and extracts in the range of antioxidant chocolate. MORINGA - In Ghana they own Moringa trees in the family garden, which their mother, aunts and cousins ​​collect and make tea with the leaves. Marian bet blindly on her many benefits on the skin, and Christopher nods. In a woman of 74 years with 50 skin there is nothing more to say. The Moringa is in all the range of treatments of Christopher Courtney.Manteca of Karite - You could say that Christopher was born in it. For centuries, women in the father's village, which is near Burkina Faso, have been producing shea butter, and this was widely used on him as a child by his mother and grandmother. The Courtney are happy to be able to obtain shea butter from Ghana in the UK and incorporate it into their products. COCO - As a child, Christopher recalls having drunk Coconut Juice directly from the Young Green Coconut, enjoying a green and fresh juice that he was always pleasant and full of nutrients (well, he did not know but he enjoyed it, and much). When the coconut was too old to drink the juice, they ate or made sweet coconut cakes (basically caramelized sugar and grated coconut - simply delicious). But when he discovered that in Polynesia his women went a step further by adding the beautiful flowers of Tiaré (Gardenia) and Vanilla, he had to adopt this new custom. "You just need to look at your beautiful skin and hair from a Polynesian lady to want to try that product." According to Christopher "As an adult living in a busy and stressful world, I long for a bit of relaxation, tranquility and maximum indulgence in my time "stolen" and these products offer me just that! ". Up to 60 percent of what we put into our skin is absorbed into our body. Our bodies are contaminated with more than 300 man-made chemicals that can adversely affect our health. Artificial ingredients can cause allergies and severe skin irritations. Natural ingredients are kinder to our skin and our health. At Christopher Courtney they strive to create exquisite, innovative and professional spa treatments and quality products that are hard to find elsewhere. We have faith in it. A brand that reflects elegance, sophistication and decadence through a careful range of luxurious, highly effective and beautifully packaged natural and organic products. Its natural and organic ingredients, advanced, are obtained through renowned companies from all over the world that are certified by the Soil Association, Ecocert or the equivalent to guarantee their quality. 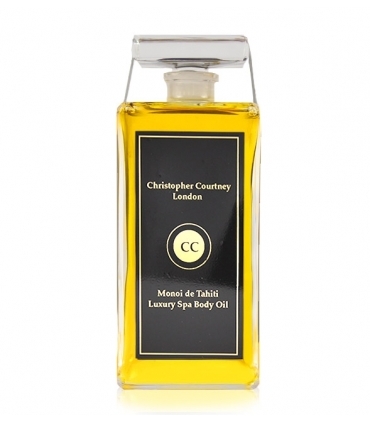 In Christopher Courtney they make a meticulous combination of exotic oils, antioxidants, vitamins, precious plant extracts and pure, absolute organic essential oils to create divinely pure products that provide intensive hydration, firmness, softness, rejuvenation, increased elasticity , reactivation of cells, regeneration, protection against free radicals, refinement of the structure of the skin and maintenance of a youthful appearance, while while calming, heal, soften, and provide a fantastic uplifting, refreshing, comforting and accommodating. That is luxury in a treatment. A philosophy and way of doing things that we love and admire. We look for brands that besides beautifying, heal. Bring up the self-esteem of all people and look beautiful, whatever they are. Christopher Courtney is not short on values. All the values ​​we share in Biosplendor. Enjoy them! The most advanced multifunctional treatment for men looking for an effective and complete treatment in a single product. It hydrates, nourishes, regenerates, repairs and prevents to maintain younger skin for longer. In addition, the texture is light and easy to absorb. If you want to get rid of those unsightly grains and imperfections quickly use this anti-acne gel as many times as you think necessary to make them disappear in the most effective way. 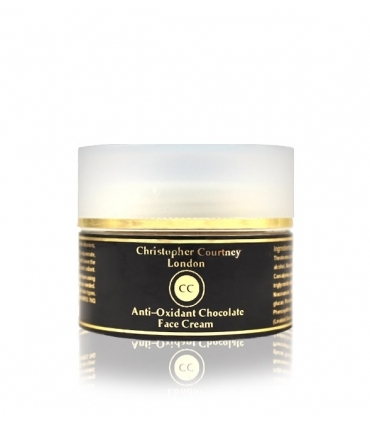 If chocolate get you crazy, and you are looking for an exquisite anti-aging treatment, this is yours one!. The best ingredients for a delicious cream. The best selection of natural ingredients that will work wonders on your skin. Discover it! If we tell you that this treatment will transform the tone, density and quality of your skin, you may not believe us ... Try it ... Face firmer, more definite facial oval, tense, smooth, young, luminous, healthy and beautiful. Splendid skin. You need more? You are Biosplendor. BeSplendor. You reserve it! The ideal oil that you were waiting for to treat your skin before and after shaving and to condition and shape your beard. 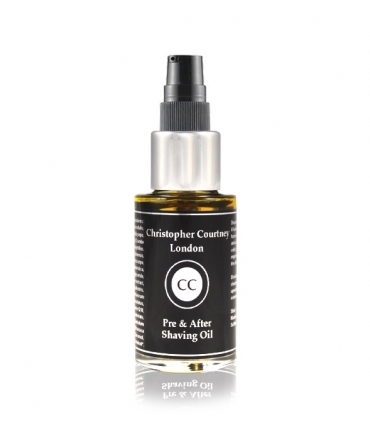 Get the best out of it and keep the best look of your skin with Christopher Courtney's Shave Oil especially designed for you, who always look for a flawless result.